This past summer I ran my fastest marathon in three hours, forty-six minutes, and no seconds. Although this time is not terribly fast by the standards of marathon running, although it was much faster than I could imagine I could run a marathon even a year ago. In Jr. High and in High School I was an athlete, but when in college, I realized I didn’t want to pursue athletics any longer, for many reasons that are not important, I quickly lost the athlete within. I covered him up with sloth, with gluttony, with self-destructive habits, and just letting myself go. In early 2009, I realized that these habits were going to lead to my ultimate demise. I wasn’t going to be around when my son was going to grow up, I wasn’t going to be able to participate and play with him as he got older. At nearly 350 lbs I was on track toward a shortened life span, and maybe not seeing my son grow up. I decided to begin an exercise regiment. This wasn’t huge, I walked slowly on a treadmill for an hour three times a week, and I jumped in a pool and swam once a week. I also learned portion control, one breakfast, one lunch, and one dinner, no more “Taco Bell Fourth Meal”. In the midst of this first step, I began losing weight, within six months 50 pounds, and 80 lbs were off by Christmas 2009. There was no magic diet, I ate less, and I exercised more. Have you noticed the pattern? Have you realized my error? I, I, I, I, I, and I. I am taking the credit for all this hard work. Certainly, I did the work, but it was through the power of the Holy Spirit that I was prompted, I merely answered the call. Through the power of the Holy Spirit, I was transformed, not only spiritually, but also emotionally and physically. I was broken, and I needed fixing. God took hold of me, and shook me. I accomplished something, I finished the ridiculous distance, and I was not beaten by the weather. I was proud that I accomplished a feat that only a small percentage of people have accomplished, but my feat was not impressive. I was still far from what I could be, and far from what I was before the stench of sloth covered over body. I kept running more and more and my next race was a two hour half marathon later in the year. 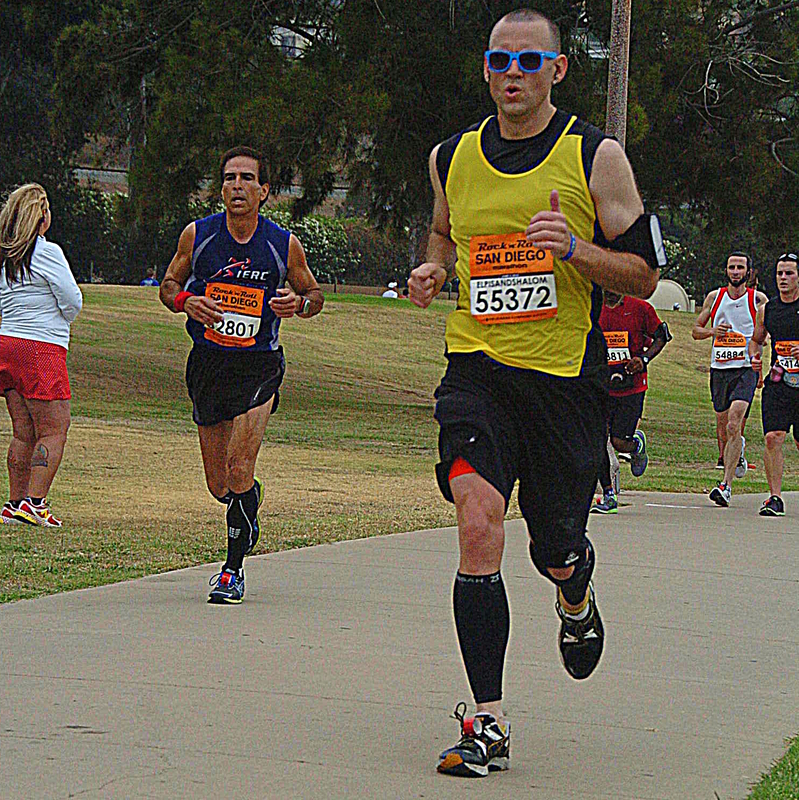 After that race my daughter was born and the training took a brief hiatus, but when I restarted I set my sights on another marathon, this one the 2012 Santa Clarita Marathon. I followed a strict training regiment and figured I would improve upon the five hour marathon and set my goal to run it in four and a half hours. However, half way into the race I realized that I was in much better shape and was most likely going to beat the goal I set for myself, and I was on pace to run a four hour marathon. I eventually finished the race in just over four hours as I slowed down at mile 24, but this was a huge win for my psyche. First I worked hard to lose weight, then I worked hard to get myself into better shape, however it was all worthless compared to the riches I have in Christ. However, the way that I have worked on losing weight, and running faster only serve to show that I am constantly being refined and made better by the work of the Holy Spirit moving in my life. So I sit here tonight, having accomplished running a marathon in three hours and forty-six minutes, and having lost more than 150 pounds, but God is still working on me. Not to lose more weight, and maybe not to even run any faster, but God is working to refine me, and make me more into the man that God desires, a man after God’s own heart. God isn’t finished with us. I have a marker and a path I have followed, and although I took the steps toward where I am today, God is the one that worked on me, and has brought me on this path toward holiness and sanctification. I pray that as I continue in this path toward a deeper relationship with God, that I can be faithful to God’s call. Praise be to God.